If you’ve been reading for a while you might be aware that I’m into cooking. I find cooking great therapy, and usually on bad days Drew will come home to cakes/biscuits/bread, or indeed a mixture of all three. Because cooking requires lots of preparation , I don’t always find it easy to create fresh meals from scratch, particularly if I’m in a lot of pain. This is where Primula comes in! Primula were kind enough to send me some products from their range of cheeses. I’m sure you’ll remember these; they are firm favourites as sandwich fillers and, as I found out, great for handy shortcuts in favourite meals! 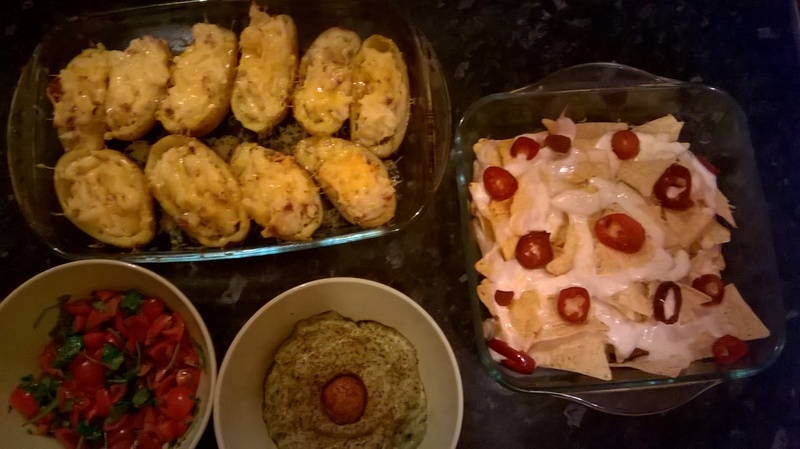 I decided to get creative and made a variety of Primula cheese-inspired dishes, which were very easy to prepare and extremely tasty! 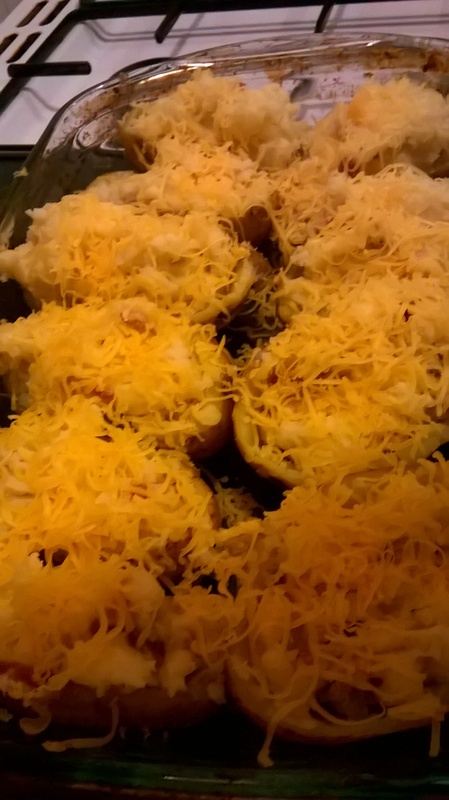 Firstly, I decided to try making some cheesy stuffed potato skins. a small amount of grated cheese of your choice (I used double Gloucester). Firstly, you’ll need to prepare the potatoes. I made sure to prick each potato with a fork several times (as it lets the heat escape) and put them in the microwave on a plate at full power for 15 minutes, or until the potato is cooked on the inside. Meanwhile, turn the oven on (about 170 degrees/gas mark 6). As the potatoes were cooking, I chopped my bacon in bite sized pieces and grilled using my handy George Foreman grill. I remember when these were all the rage, and I must admit that we have had a lot of use out of ours as they make cooking really easy and are very quick to clean! Perfect if you’re low on spoons/energy/just don’t want to spend ages cleaning up. I grilled these bacon pieces until they were crispy and golden. When the potatoes were cooked and the insides like mashed potato, I carefully scooped out the flesh into a jug (you could use a mixing bowl) added my crispy bacon and put the empty skins into a non-stick oven dish. I then squeezed in approximately half a tube of Primula’s delicious cheese and chive into the potato and bacon mixture, stirring well. Here is where you should add a drizzle of olive oil; it can be really hard work to mix everything in evenly! Crack in some black pepper and season to taste, before dividing the mixture out and placing it back into the empty skins. I then topped with a scattering of grated cheese. Pop them into the oven until they are piping hot, golden and bubbly, (approx. 15-20 mins) and voila! 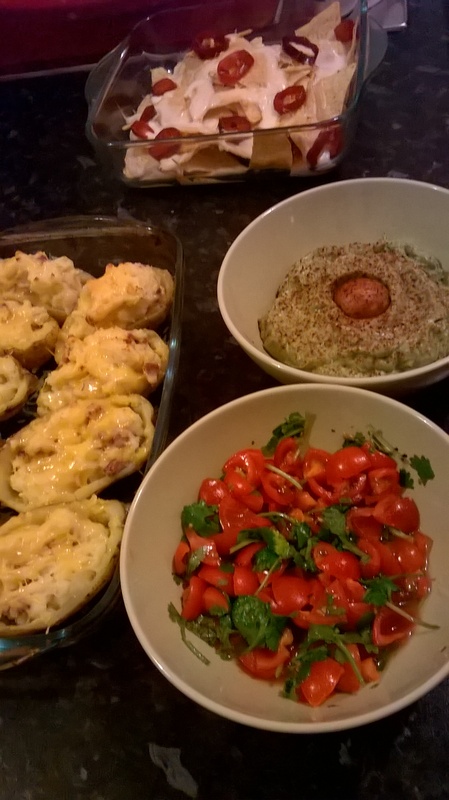 Delicious, easy and filling; perfect for these wintry, chilly nights we’re having. 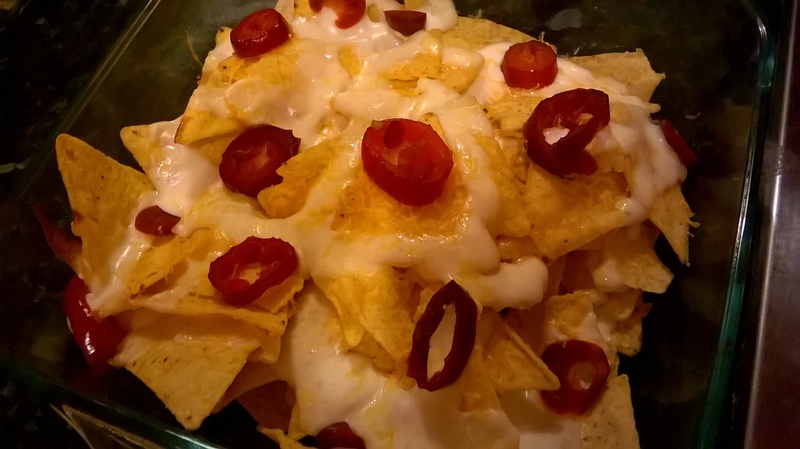 I also decided to make one of my all-time favourite snacks – cheesy nachos – using Primula’s original cheese. Again these were super easy to do, and extremely yummy. and a jar of jalapeno peppers to heat things up a bit! I chose red peppers, as they are hot yet sweet. 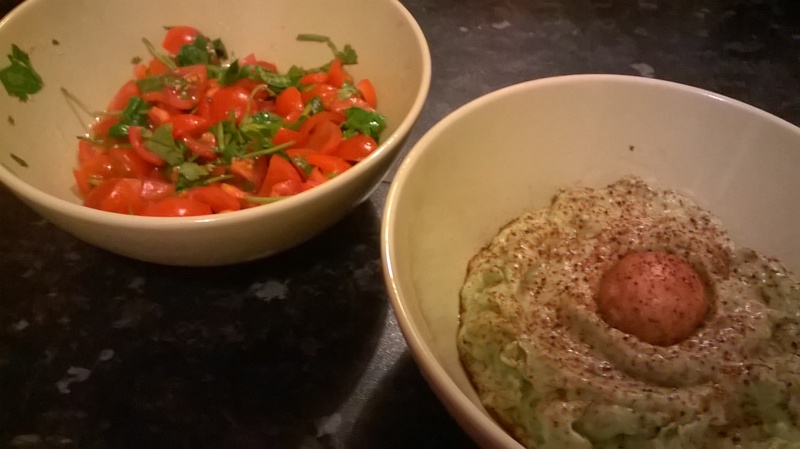 Homemade guacamole is so easy, it’s almost not worth buying it premade! All I did was scoop out the flesh of both avocados (but keep the stones in the middle; you’ll see why soon!) and put into a food processor along with the lime juice, a pinch of salt, twist of black pepper, Primula light and coriander. I then whizzed up the mixture to form a smooth, well-mixed paste. I then placed the guacamole into a bowl after checking it was seasoned to taste, and placed one of the avocado stones into the middle of it. The reason for this is it helps the guacamole to keep its bright green colour. I then sprinkled cayenne pepper on top (just a little; you can of course skip this step entirely) and it was done! 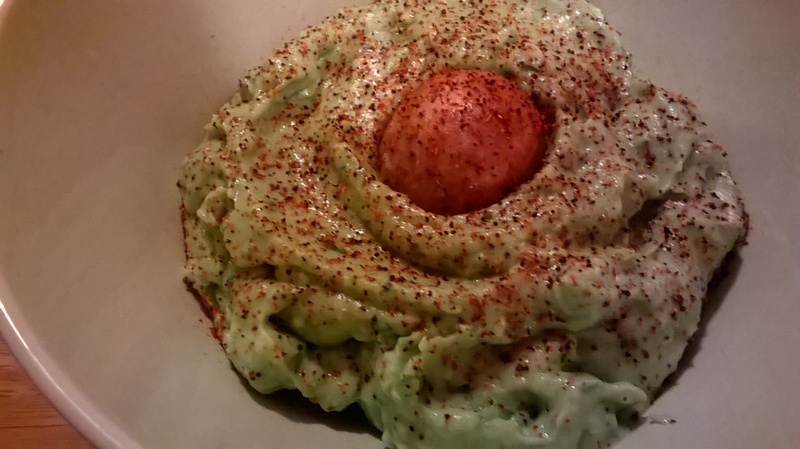 The Primula really added a creaminess to the guacamole and it’s something I’ve never thought of adding before. I definitely will now! As you can see I also made a super-quick tomato salsa to go with it. All I used were chopped cherry tomatoes, coriander, the juice of half a lime (or you can use lemon if you prefer) a teaspoon of sugar, a drizzle of olive oil and a pinch of salt and pepper. Then all you have to do is mix them together! Very easy and a great accompaniment to the guacamole. All in all I’m really impressed with Primula cheeses. They taste great and make mealtimes so much simpler. You can find Primula in the dairy aisles of all good supermarkets, or check out their website here to check out more about their products and collaboration with the charity Make a Wish. Let me know if you decide to try any of these! Hope Saturday is treating you well.